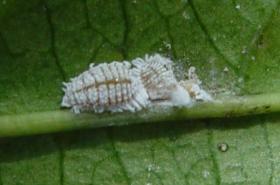 Mealybugs infest fruits and foliage. They can be serious pests in the warm season, if natural enemies, which usually control them, are destroyed by spraying with pesticides. Conserve natural enemies. 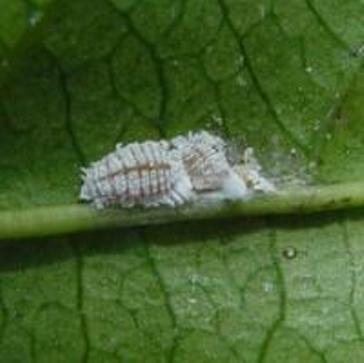 Mealybugs are usually controlled by a wide range of natural enemies. However, use of pesticides may kill these natural enemies leading to mealybug outbreaks.